Thirty-four northern chiefs signed He Whakaputanga o te Rangatiratanga o Nu Tireni (known in English as the Declaration of Independence of the United Tribes of New Zealand) at a hui called by the British Resident, James Busby. The previous year many of these chiefs had gathered to choose a national flag to fly on locally owned ships (see 20 March). In the spring of 1835, Frenchman Charles de Thierry announced his intention to set up a ‘sovereign state’ in Hokianga. Concerned this might provoke intertribal conflict, Busby called a meeting of chiefs whom he persuaded to sign He Whakaputanga. This asked King William IV ‘to be the parent of their infant state [and] its protector from all attempts upon its independence’. As the United Tribes of New Zealand, the signatories would meet at Waitangi annually to frame laws. The Colonial Office in London promised that the King would protect Māori. Busby eventually acquired 52 signatures to the declaration, all but two from northern chiefs. The creation of the Confederation gave the United Kingdom influence in New Zealand that it was to exploit to the full at a third meeting of northern chiefs on 6 February 1840. 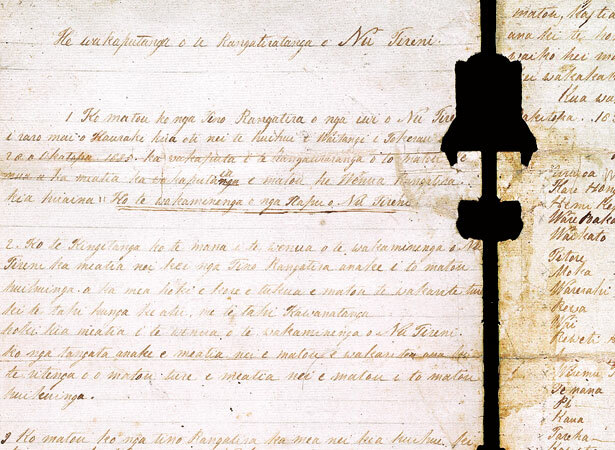 We have 25 biographies, 11 articles, related to He Whakaputanga signed by northern chiefs.